Does anyone really need a tablet? Probably not, when we’ve got phones and laptops that serve overlapping purposes. What makes the Nexus 7 so great is that it fulfills all its duties capably at a price that won’t make you feel guilty should the novelty wear off. Having won five of our six categories, we have to say the 2013 Nexus 7 is a serious upgrade. The 2013 model features a more luxurious design, a more powerful processor, double the memory of the 2012 model and, to top it all off, one of the best displays we've ever used. That said, it's worth noting the 2012 Nexus 7 is still a very good device in its own right and it meets all the requirements for most tablet users. For this reason, while the 2013 Nexus 7 is a better device, early adopters who bought the 2012 model should consider whether they really need the added power before upgrading. As the recent Nexus 7 rumors suggested, BestBuy claims to start selling Nexus 7 on Tuesday July 30th, followed by Staples the next day. The WiFi 16GB model will cost you $230, and for $270 you’ll get 32GB version. There have been many improvements in Nexus 7 tablet this year and the $30 extra charge for fast performing 7 inch tablet is, at least in my opinion, well justified. The market for 7-inch Android tablets is flooded with dozens of inexpensive devices that cost less than $200. Some of these slates are very good, too, such as the $149 ASUS MeMo Pad 7. But the new Google Nexus 7 tablet is well worth the slight splurge. The 7-inch market has been criminally under-served since the launch of the original Samsung Galaxy Tab (Kindle Fire and Fire HD excepted), so being able to choose something that isn't a a new iPad was warmly welcomed when it was announced - and it's been so successful that Apple had to crank out its own version. The Nexus 7 is astounding value for money. If you're on a budget this is the tablet to buy and, even if you're not, it's well worth considering, as its specs and performance make it competitive with tablets twice the price. The 7-inch market has been criminally under-served since the launch of the original Samsung Galaxy Tab (Kindle Fire and Fire HD excepted), so being able to choose something that isn't a a new iPad was warmly welcomed when it was announced - and it's been so successful that Apple had to crank out its own version. It may not tread a lot of new ground, but the Nexus 7 is a strong performer and easily the best tablet around for the thriftier buyer. The Nexus 7 is astounding value for money. If you're on a budget this is the tablet to buy and, even if you're not, it's well worth considering, as its specs and performance make it competitive with tablets twice the price. Google has set a new standard for budget tablets with the Nexus 7. It's an unbelievably well-equipped device for such an affordable price. The silky smooth performance and high resolution IPS screen are the highlights for us. If you're looking for a tablet under £200 then look no further than the Nexus 7. In short, if you're in the market for a regular Android tablet, the Nexus 7 remains the one to go for. The OS update has cemented the device's appeal, and storage space has doubled since our original review, too, so it's better value than ever. There's also now a 3G model available at a tempting £239, which can serve as a true on-the-go companion. If you want a cheap or small tablet, buy the Nexus 7; if you want the best performance, get the Nexus 10. And if both are too big for your needs, buy the Nexus 4 smartphone: Google owns the Android mobile market right now. If you want a tablet with which to actually do things, the Nexus 7 is the only option here. The other two are consumption devices - designed to be used to enjoy music, movies, games and books, as well as email, social media and web browsing. The Nexus 7 also offers greater variety in the places from which you can source media. But it is not nearly as easy to use as the other two. If you want a simple to use device with which to entertain yourself, you can't go wrong with the Kindle Fire HD and Nook HD. And the greater content available for the Kindle pushes us in that direction. lThe Nexus 7 is well-priced, well-built, and user-friendly, with the latest version of Android and plenty of apps. But we think paying extra for a subpar modem isn't a great deal, so this model won't get our Editors' Choice—we'll leave that with the Wi-Fi-only unit. Overall winner: Nexus 7 Having put all three devices to the test, we have to say the clear loser is the Amazon Kindle Fire HD. Boasting average performance and grating software, the tablet doesn't live up to the standards set by its iPad Mini and Nexus 7 competition, even if it is cheap. That said for new users not embedded within any ecosystem, we have to say the Nexus 7 does offer better value for money, costing £100 less than the iPad Mini while boasting better performance, albeit with slightly less solid build quality. Overall, we’d say the winner from our initial impressions is the Amazon Kindle Fire HD. Even though Apple has the gorgeous design and user-friendly OS, and we’re sure the performance will be super speedy like its current iPhones and iPads, the price just doesn’t add up. Paying another £110 on top of the Kindle Fire HD’s price tag for a device that offers the same storage and high quality screen is a tough sell. At the end of my time with the Google Nexus 7 I continue to be impressed by it, even when compared to higher end Android tablets. The 430 gram mass sits well in hand and does not feel overly heavy in hand. Build quality is good, the soft, rubberized finish on the back feels pleasant and durable. The lack of a rear facing camera could be an issue for some users, but you will have to learn to live without it. In any case, if you are in the market for 7-inch tablet this is definitely the device to go for and we really can’t recommend it enough. 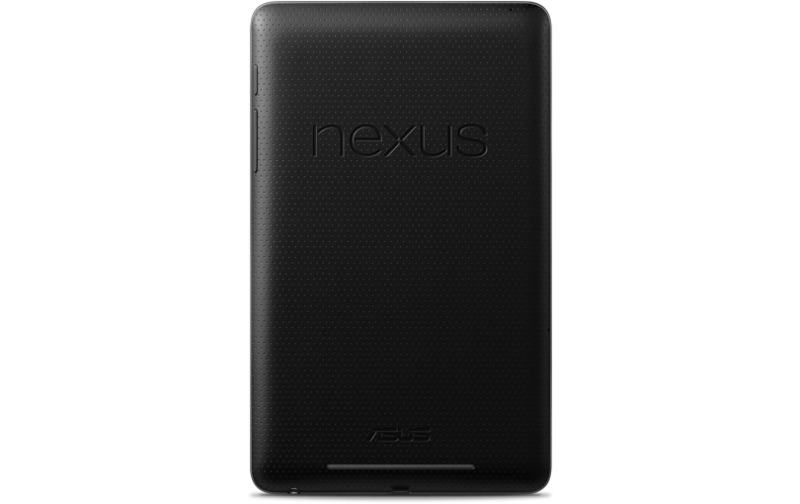 Google Nexus 7: Final Review by Sascha – Best Android Tablet Ever? The Nexus 7 tablet is in fact a so-called “game changer”, a product which swirls the market and gives other competitors a headache. The best compliment is to say that it feels like a tablet, which could also cost twice the amount and I do not feel that I am exaggerating now. A great display coupled with the low price range for the really solid performance and best-ever Android OS, which puts all other times right in the shadow version — it’s worth it. The Google Nexus 7 is currently selling for AED 1,200 for an 8GB unit which is a bit on the higher side considering that same unit sells for US$200 (AED 740.) At US$200, the Nexus 7 is a steal if you are ok with a small 7” sized tablet and is, without doubt, the best tablet to get. However,at AED 1,200, it is much closer to the iPad 2 which is currently selling for around AED 1,500 and with a larger screen and more tablet like interface, I think is a better buy. Google's Nexus 7 and Apple's iPad are very different tablets but compete in the same market. The price is the key difference between the two and could give Android a significant boost. If you are looking at getting a tablet and are okay with a 7-inch display and 802.11b/g/n WiFi internet access this might the only tablet you need to look at. The hardware inside is great and provides a great user experience in conjunction with Android 4.1. The fit and finish of the Nexus 7 is also well done, but we expected that as it was built by ASUS and they have a ton of experience making tablets. 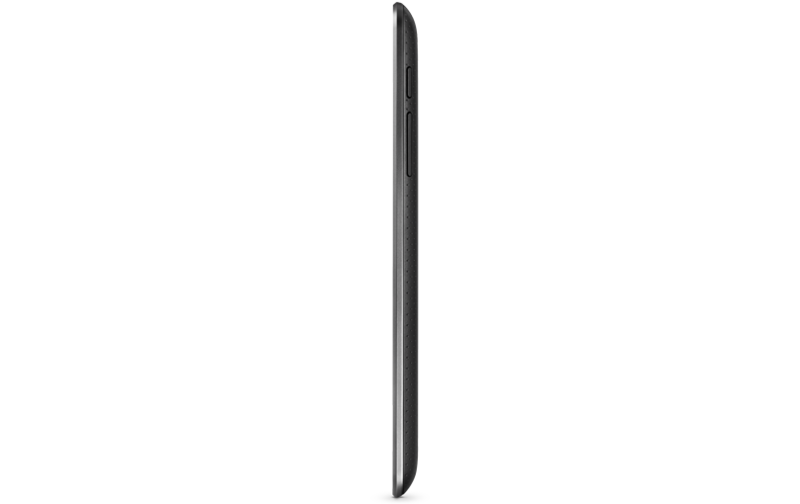 We wish it had expandable storage and a rear-facing camera, but after using it a few days you forgot about those short comings. For those looking for a premier, top end tablet experience, Apple's iPad remains the best choice, featuring the best screen on market and a streamlined operating system that allows it to match the performance of similar devices packing more powerful components. This means that while we would recommend the iPad over the Nexus 7 to users with cash to burn looking for a top end tablet experience, we'd equally recommend the Nexus 7 over the iPad to anyone shopping on a budget or casual tablet users looking for basic media and web browsing services. Make no mistake – the iPad is certainly the better tablet. But the Nexus 7 is far less expensive and, despite that, still quite good. The only problem is one shared with Apple – availability at launch. Retailers with stock are taking customers to the cleaners, so be patient. This $200 tablet is a great value when you actually pay $200 for it. 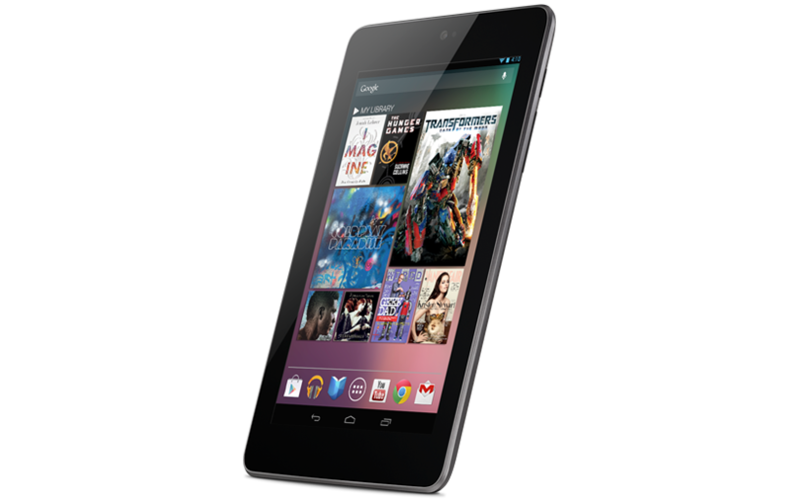 The Google Nexus 7 has caught the imagination of the public with its high specs and low price. Here's our video review of the Jellybean 4.1 Android tablet. The best three tablets on the market right now are the Apple iPad 3, Asus Transformer Infinity, and the Google Nexus 7. If you don’t want to spend $500-plus on those ten-inch tablets, the Nexus 7 is the way to go. This is evident from even the smallest things like tweaks in the Google Chrome browser to making it ideal for reading e-books. It’s not perfect just like other tablets on the market, but it’s the significantly lower cost compared to the iPad plus the power and capabilities on offer that make it perfect for someone who wants to buy a tablet but can’t justify paying over £400 for one. The Nexus 7 isn’t a budget tablet in anything but price. It’s fast, it has a perfectly good screen, and it’s built to a quality rarely seen from such a cheap device. Android’s Jelly Bean update brings its own advancements, and for the first time we can look at an Android tablet as a whole package and say: it all works. The fact that we’re saying that about a £199 device is remarkable. Admittedly, the Nexus 7 needs a 3G version for true data portability, an absence which might deter some. Likewise, it can't match the media choices of Apple or Amazon and it won’t give the massive battery life of an e-ink reader either. Even so, the Nexus is good enough to make it a logical choice for anyone thinking about a smaller tablet for reading or watching video while out and about, and it's a steal at the price. As strange as it might sound, my favorite Android tablet has long been an HP TouchPad running Android 4.0 Ice Cream Sandwich (CyanogenMod 9). Until now, at least. While I still had hoped for more from Google with its first Nexus tablet, I am at least content with what it provided. It's a solid piece of hardware that is available for very little cash, and it works both quickly and smoothly. 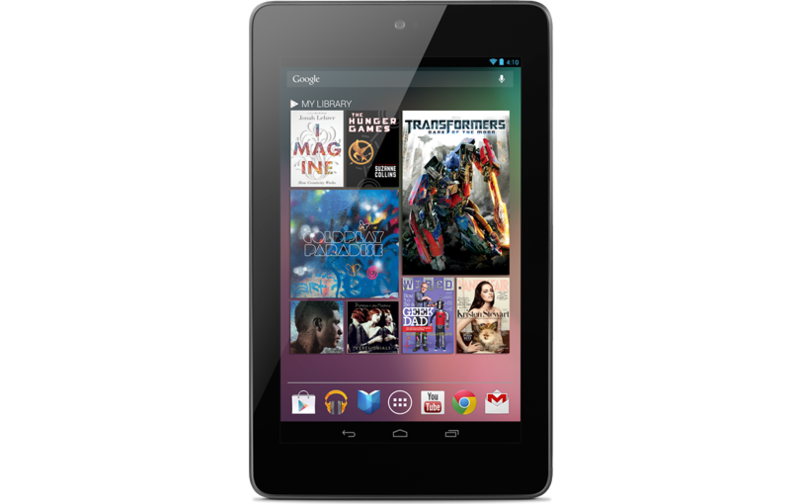 If Apple's iPad is not your thing, then the Google Nexus 7 quite possibly is. It's quite a nice tablet. Google succeeds at shooting Amazon's Kindle Fire out of the sky; the company has delivered a superior piece of hardware at the same starting price. The Nexus 7 also beats out the same-priced Samsung Galaxy Tab 2 (an Android 4.0 tablet with lesser performance and half the storage, but with a MicroSD card slot), and it beats out Barnes & Noble's limited Nook Tablet (which adds a MicroSD slot, but is restricted by B&N's custom Android version and the apps approved for it). I like the feel and design of the Toshiba Excite 7.7 better, but that model costs twice as much as the 16GB Nexus 7. Google hasn't positioned the Nexus as an iPad killer, but it's worth noting that the Nexus's price is a 38 percent savings over the cost of getting a larger-screen, same-size iPad 2, and a 50 percent savings over a third-generation iPad. The Nexus 7 doesn't magically solve Android's problem with a lack of tablet apps. But it may turn the vicious cycle into a virtuous one, and the spread of these affordable, high-quality Android tablets will cause app developers to start writing for these devices. That makes it our enthusiastic Editors' Choice over the slower, less capable Kindle Fire. The Nexus 7 is the absolute best 7” tablet . With no questions it offers way more bang for the buck than the Kindle Fire. Tablets are mostly used for entertainment, and Google pushed the envelope on that front like there is no tomorrow, making sacrifices in the right places, like going with only one front camera and providing only 2 ports. Also remember that, as it is with all of our reviews: this isn’t the end. If you’ve got questions you still need answered, want us to do additional tests, please feel free to ask or request – we’ll do our best! Meanwhile don’t forget to hit up our Android portal for more Google mobile OS action through the future! Let’s cut to the chase – the Google Nexus 7 is not the fabled iPad killer. But at less than half the price, it doesn’t need to be. Like the Kindle Fire before it, this is a portable entertainment device first and a portable computer second – the smaller screen is a perfect fit for your jacket pocket, and the entertainment-centric apps and games work beautifully on it.